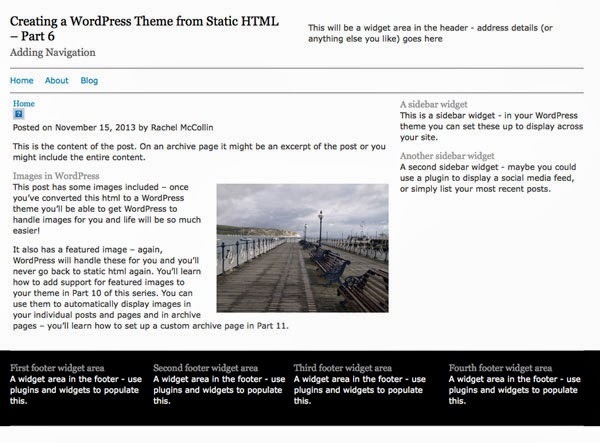 If you’ve been working through this series, you now have a working theme with template files which you’ve uploaded to WordPress. In this tutorial, you’ll continue to work on the header.php file that you created in Part 2. You’ll learn how to add a navigation menu which can be edited via the WordPress Menus admin screen.